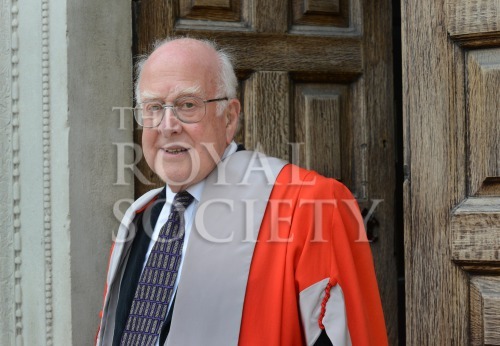 Photograph of Professor Peter Higgs at the Honorary Degree Ceremony at the University of Cambridge, June 2012. Professor Peter Ware Higgs was elected a Fellow of the Royal Society in 1983. Higgs was one of the theoreticians who predicted the existence of the Higgs boson (subatomic particle).